Sympatex - Our Social Responsibility - Your partner for innovative functional textiles. As one of the first German companies, Sympatex is B Corp certified. 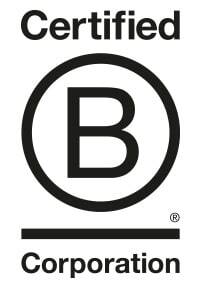 B Corp is an internationally renowned hallmark and represents a corporate concept which does not only act on the maxim of profit maximisation, but is equally committed to transparency, environmental protection and social responsibility. Link to press release. STX is BSCI participant since 2018. BSCI (Business Social Compliance Initiative) is an initiative of the Foreign Trade Association (FTA). It is a leading business-driven initiative for companies committed to improving working conditions in factories and farms worldwide. It unites more than 1000 companies around a development-oriented system applicable to all sectors and sourcing countries. The BSCI Code of Conduct refers to international conventions such as the Universal Declaration of Human Rights, the Children’s Rights and Business Principles, UN Guiding Principles for Business and Human Rights, OECD Guidelines, UN Global Compact and International Labour Organization (ILO) Conventions and Recommendations relevant to improve working conditions in the supply chain. The BSCI participants commit themselves to continuous improvement, cooperation and empowerment. As a BCSI member, Sympatex uses the code of conduct as a guideline for its entrepreneurial activities.